Marvel Comic’s resident web slinger is no stranger to the box office. 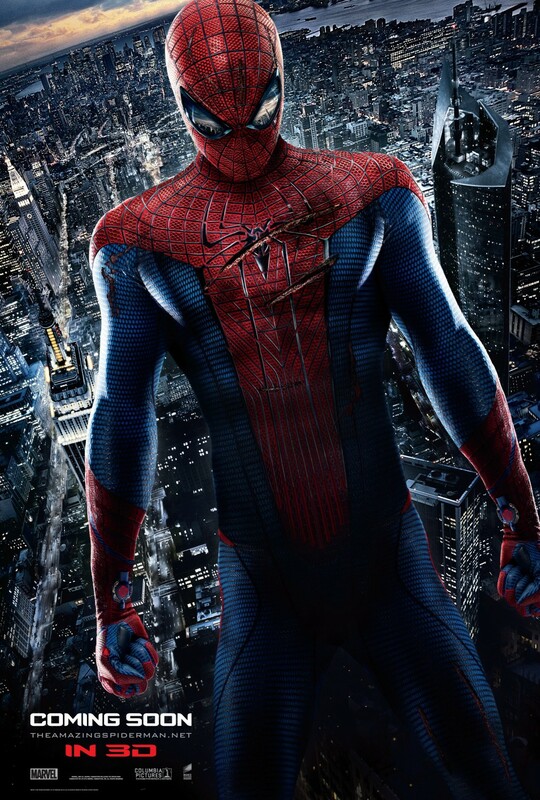 With three films to his name, Spider-Man is widely known as one of Marvel’s flagship characters. But this isn’t the Spider-Man you remember from the previous films: a new cast, new director, new direction, new everything. Does the latest outing for the amazing arachnid fly high, or is it just another spider on the web? Director Marc Webb, known mainly for the 2009 hit (500) Days of Summer, takes the reigns of the wall crawler in a very different direction. The other spider films were bright, as to where this is a much darker spin on Spider-Man. The role of the hero in the making, Peter Parker, is now in the hands of British actor Andrew Garfield (The Social Network), who pulls off the brilliant yet bumbling teenager perfectly. Gone is the red headed love interest, Mary Jane, now replaced with the brainy Gwen Stacy (Emma Stone, Zombieland), who has caught Peter’s eye. The villain of the story is a classic Spider-Man villain, Dr. Curt Conners, also known as the Lizard (Rhys Ifans). It is very refreshing to see a Spider-Man film without the villain having the last name Osborn. Now, the heart of the story is the same, but they way it plays out is very different. The origin is tweaked a little, but honestly, it works a lot better on screen than the classic origin. As I said before, this film has a much darker tone, and the Lizard is a huge factor for that tone. He is a savage, monstrous villain, something that would literally scare the heck out of you in real life. Spider-Man’s rogue’s gallery has always had a major animal theme (Lizard, Rhino, Dr. Octopus, Stegron, and the list goes on), and it is really nice to see one of these animal themed villains in the spotlight once again. Many are a little worried for this reboot of the franchise; I am here to put those fears to rest. This reboot needed to happen, as the Spider-Man of old didn’t have the high school loner feel that Peter Parker is known for. Garfield pulls off the role masterfully, and he becomes that far from perfect Peter who is just learning the ropes of his new powers. I highly recommend the Amazing Spider-Man, as it looks like Marvel has another massive hit on its hands once again.